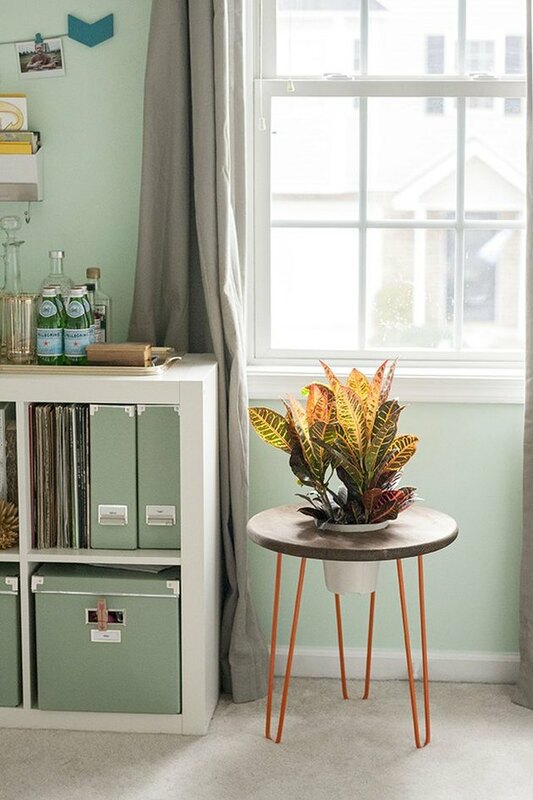 Why make a regular ol' side table when you could make a side table that doubles as a planter for your favorite potted plant? Talk about a perfect twofer. 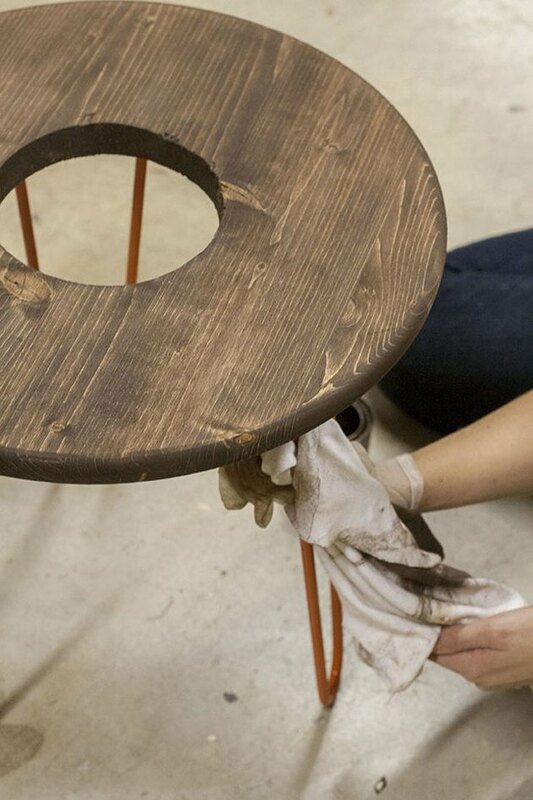 Let this DIY be your guide. 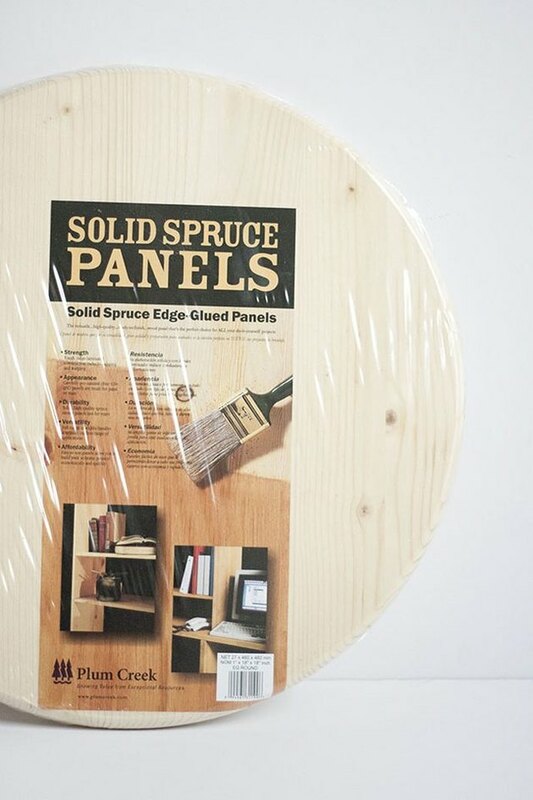 This DIY involves woodworking tools, like some of our other advanced projects (such as this gorgeous headboard). If you're new to working with these tools, please consult your local hardware store for help. 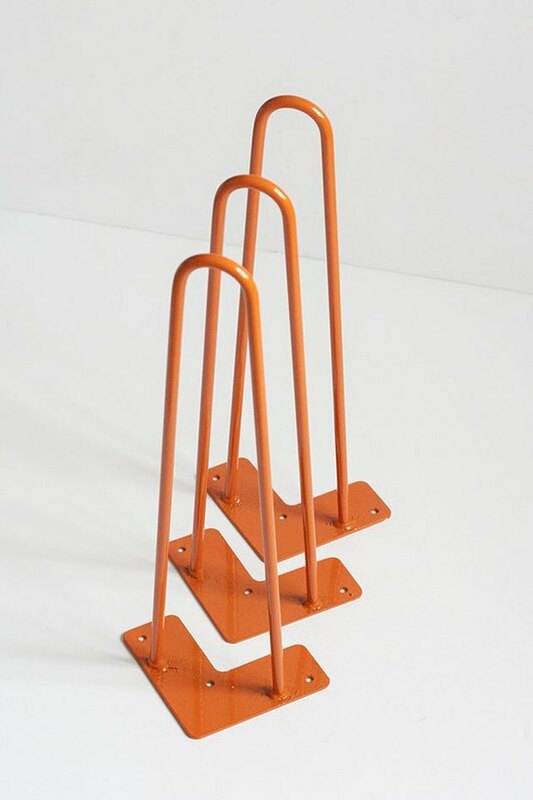 Note: I ordered my hairpin legs from Hairpin Legs For Less for about $100. For a less expensive version, you can get them unpainted. 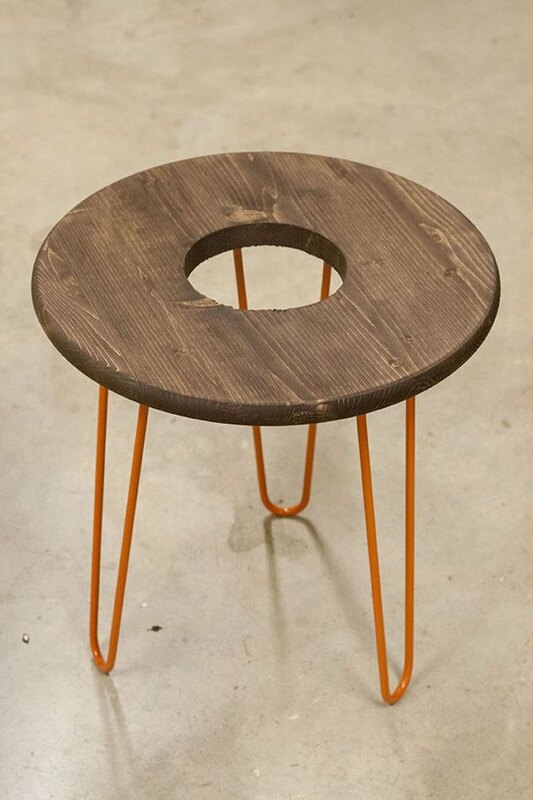 Your local hardware store should have the rest of the materials you'll need for this project, including the tabletop. 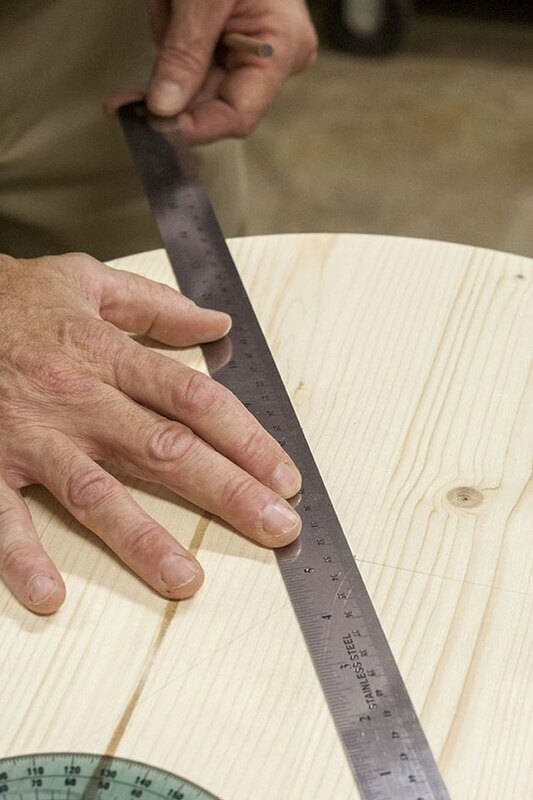 To find the center of your tabletop, use a straightedge to draw a line down the middle. 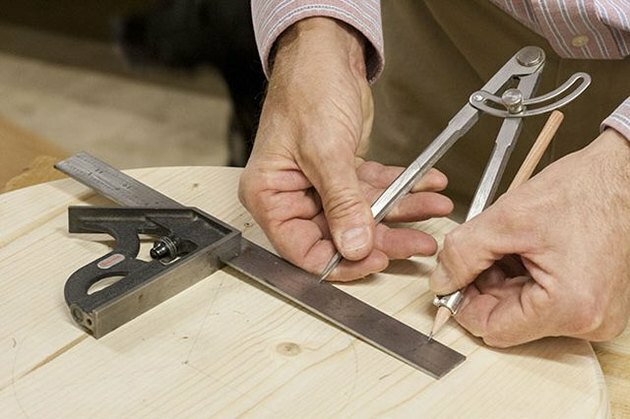 Then, using that first line as a starting point, divide the tabletop into threes by marking lines (using the straightedge) every 120 degrees. 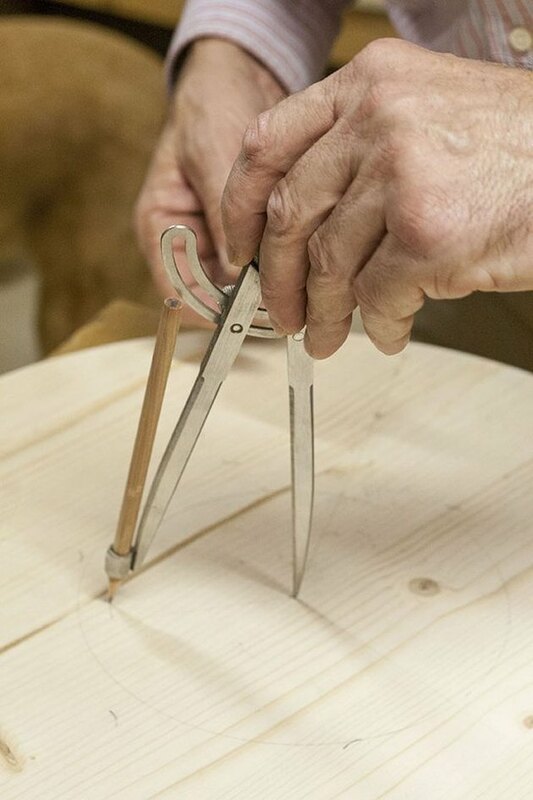 This marks the placement for the three hairpin legs. 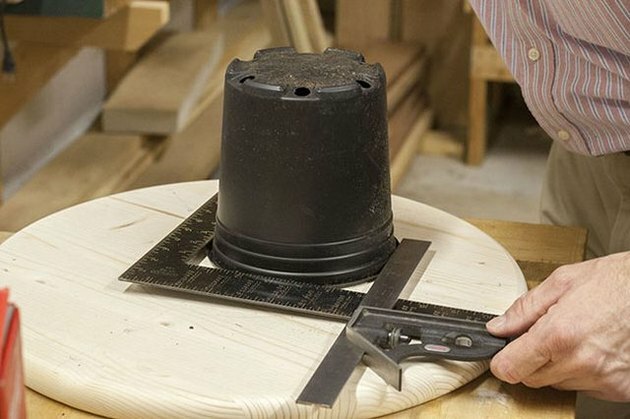 Next, determine the size of the hole for your plant. 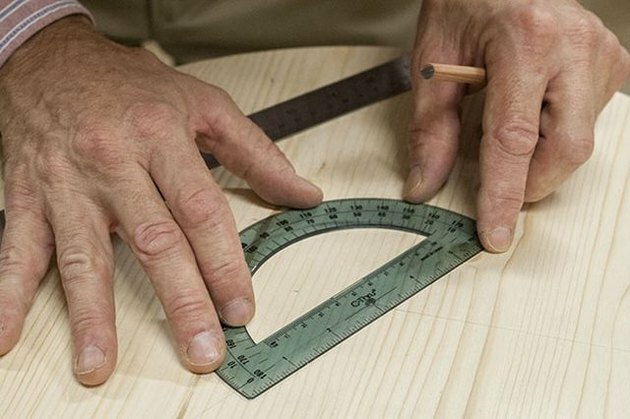 Take your pot and put it into the right angle of a square ruler. Line up another straightedge along the opposite end to get an accurate measurement of the diameter of the pot. 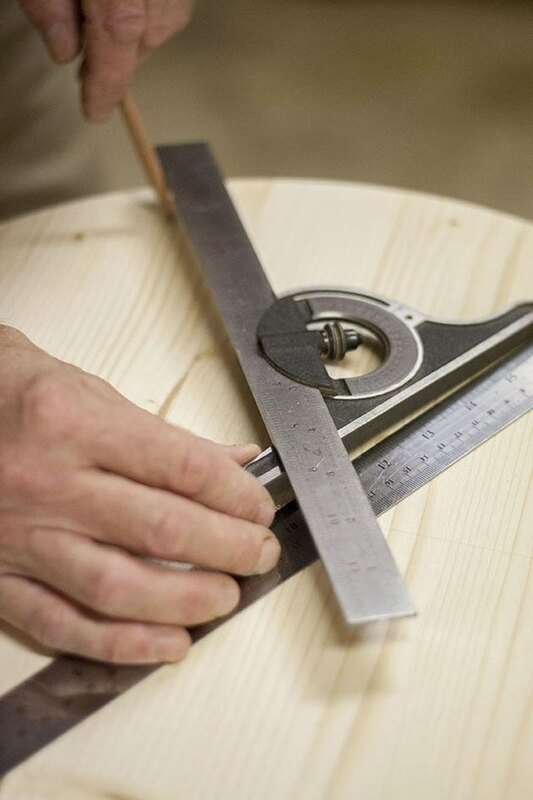 Then, draw a circle using a compass with the point positioned at the center of the table. Now it's time to cut the hole. 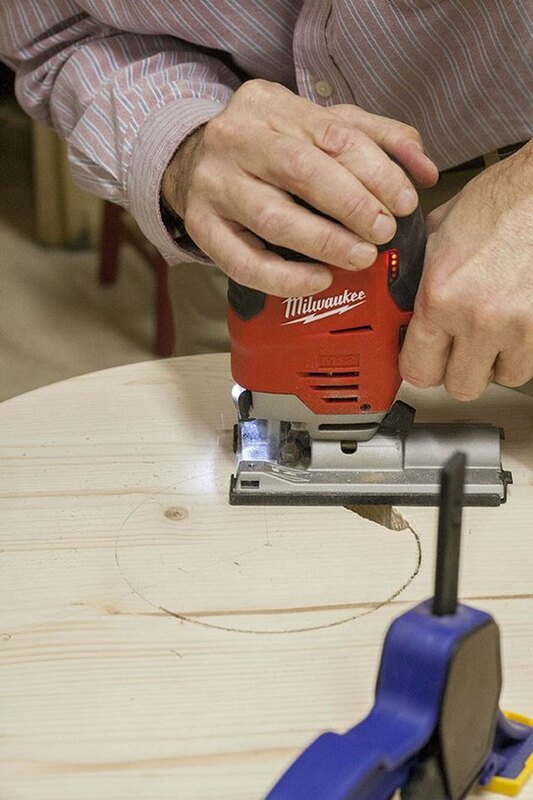 To get the hole started, use a drill and drill bit, and then follow up using a jigsaw to cut out the rest of the hole. Don't forget to wear your safety glasses! 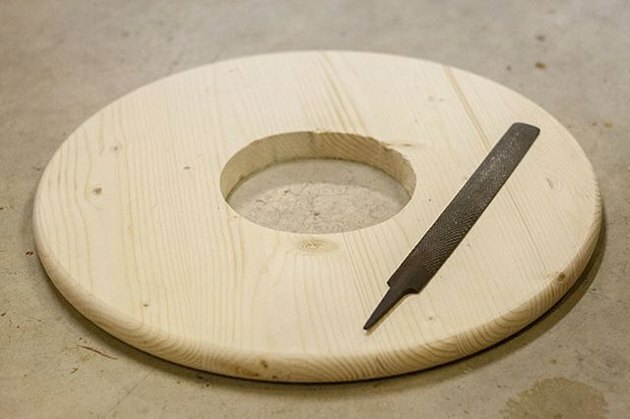 Sand and clean the hole using a rasp. 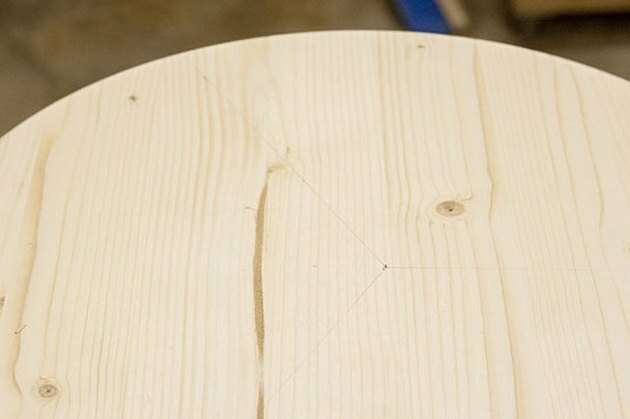 To attach the legs, drill pilot holes into the lines you marked earlier. 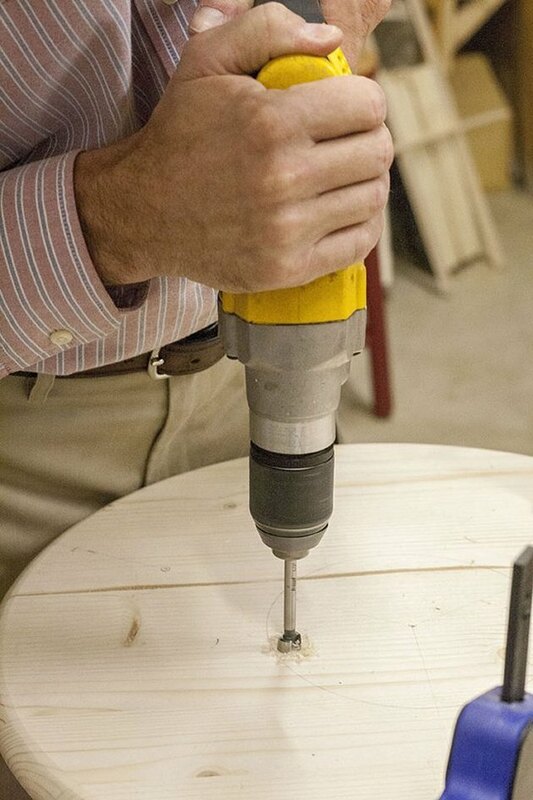 Screw the hardware in through the hairpin legs and into the underside of the wooden tabletop. 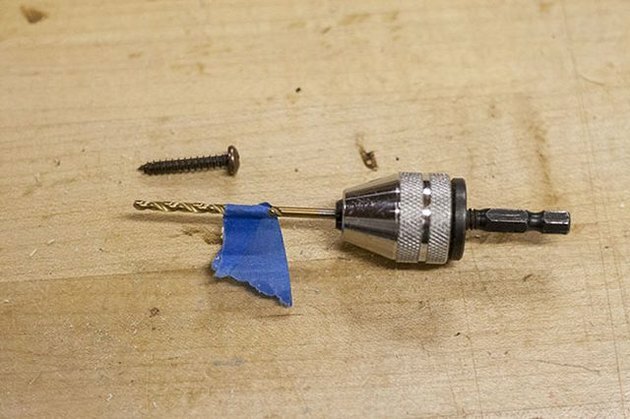 Tip: Avoid the risk of drilling all the way through your tabletop by cutting off a small piece of painter's tape and wrap it around your drill bit, matching the length of your screw. Then when you drill the pilot holes, the tape will show you where to stop drilling and reverse. Add the finish. 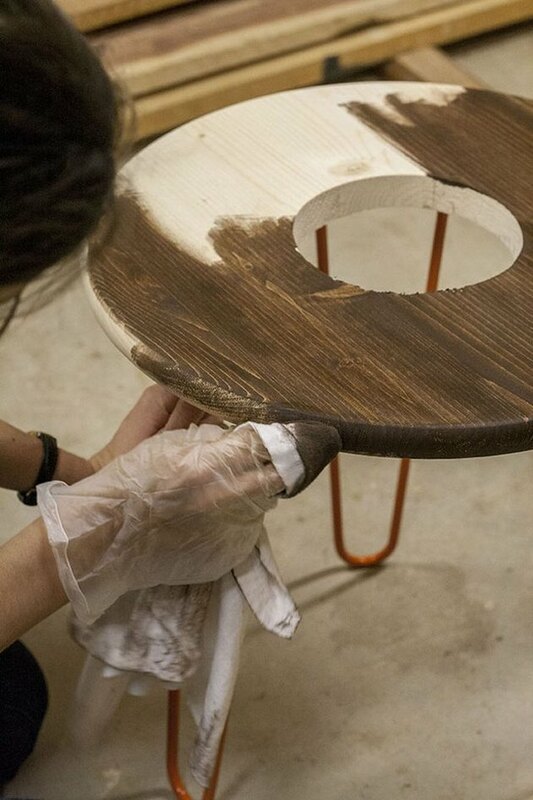 While you can always paint your table any color you wish, for this project we went with a rich, dark walnut stain. 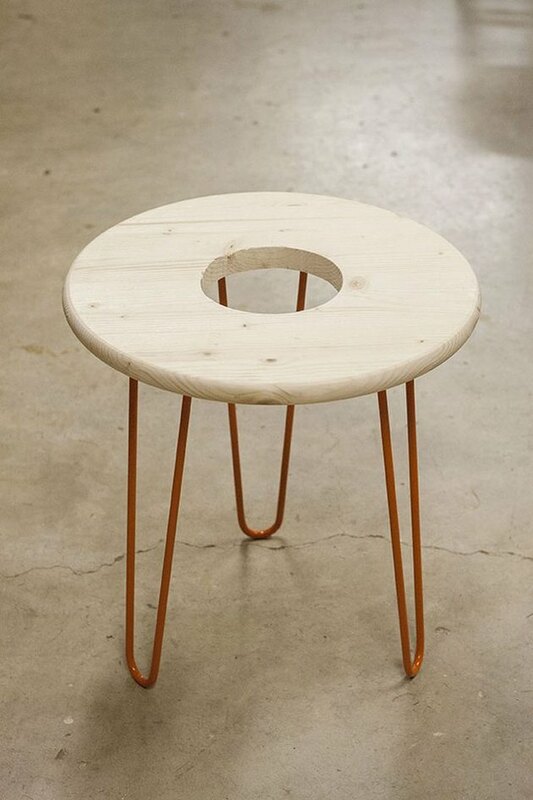 This preserves the pretty grain of the wood and brings out character. 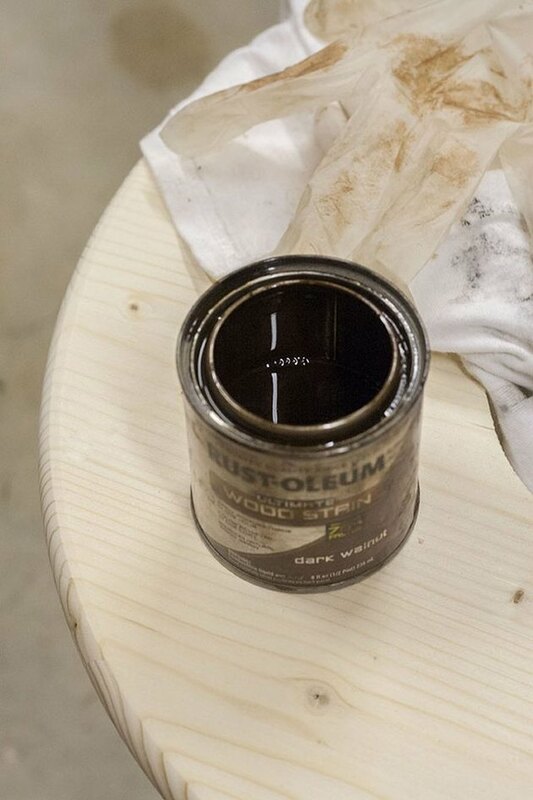 To stain, simply dip a clean, dry rag into the can of stain and wipe onto the wood, following the direction of the grain. Wear gloves to prevent staining your fingertips, and if any stain gets on your hairpin legs, use a clean side of the rag to quickly wipe it off. 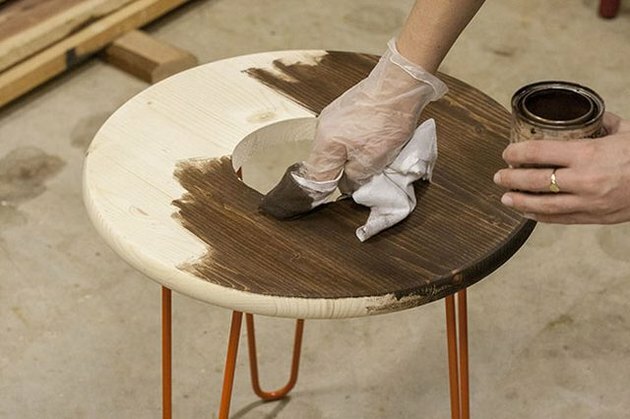 Allow your table to dry for two to three hours, and then wipe on a coat or two of polyurethane to ensure that your table is waterproof. Then, finish by gently placing the potted plant into the center of your tabletop. 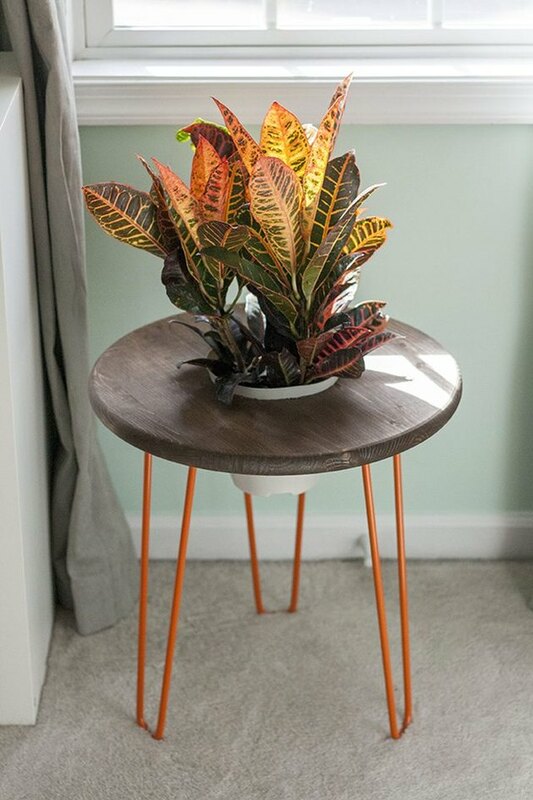 I chose a hearty indoor plant that has a bit of orange color in its leaves to mimic the color of the hairpin legs. 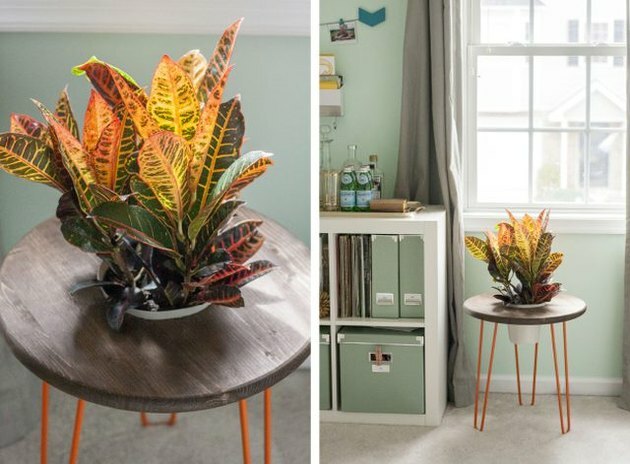 From potted plants to my daily mug of coffee, this DIY table already is a favorite sweet spot in the house!